This was pretty much standard fare for young people of my generation, and apart from the Rugby and Hockey club members, I can’t recall me or any of my friends ever setting foot in the gym. However there is now a massive trend in young people under 23 to embrace a very health conscious lifestyle. So isn’t it a good thing that they are more aware of what they are eating, whether it is genetically modified, whether it contains saturated fats, sodium or sugar, whether it is processed or non processed, whether it is organic and so on ? Well, in some respects yes. The world has woken up to the fact that sugar is only healthy in moderation and can increase the risk of obesity, diabetes and heart disease; that it is highly addictive and has also been linked to depression. Food intolerances do exist, and, speaking from personal experience, having a greater awareness of what nutritionally works for you can really improve overall physical, mental and emotional well being. However, where does healthy eating cross the line into faddism and obsession? Well, first let’s put it into context by understanding what kind of aspirational messages we are exposed to in everyday life, which might create an unhealthy relationship with food and fitness in some people, especially those who are particularly susceptible to peer pressure. ‘Generation Z’ as they are known, were born after 1995 and have grown up in a cyber world, are constantly online and are heavy users of social media. They are massively influenced by the web, and sharing photos and videos on sites like Instagram and Tumblr is one of their main ways of interacting with their friends online. Instagram has become hugely popular and has been highly influential in encouraging people to get fit and eat a healthy diet. There are now instagrammers dedicated to health and fitness such as @iquitsugar, @organicandhappy,@thebodycoach and @fitnessontoast, full of pictures of ‘clean’ foods and impossibly body beautiful men and women perfected by Photoshop. There are 26 million posts with the #eatcleanhashtag which gives you an idea of the scale of it. It’s also possible to download food diary apps which calorie count if you’re on a diet. This could all be driving the serious, although as yet unrecognised, eating disorder known as orthorexia. This term was coined by Dr Stephen Bratman in 1997 which he defined as ‘an unhealthy obsession with food’. Sufferers start cutting out certain food groups and adopting excessive exercise regimes. Any slight deviation from their strict diets can evoke feelings of guilt and anxiety or even blind terror. As I mentioned earlier, I’m not saying that removing sugar or wheat or dairy isn’t beneficial for those who have genuine food intolerances, and that programmes like Whole30 can’t be life changing; or that there is anything wrong with being vegan or vegetarian. However what is of major concern is the National Centre for Eating Disorders (NICE) receiving more than 6,000 emails and phone calls a year from people suffering from orthorexia, which, according to Deanne Jade, a psychologist and eating disorders specialist at NICE, ‘can lead onto other illnesses and eating disorders such as bulimia and anorexia nervosa’. Like any addictive process, it is progressive, and slowly the sufferer’s world becomes smaller and smaller, so it is something which needs to be addressed as early on as possible. So what sort of questions should you ask yourself if you are worried you may be suffering from orthorexia. The more ‘yes’ responses, the more likely you are dealing with this condition. Do you constantly worry about how certain foods may be impacting on your health especially with regards to digestive disorders, asthma, allergies or low mood? Are you increasingly restricting food groups due to food allergies, without consulting your doctor? Do you feel superior or judgemental towards others who don’t follow such a rigorous diet? Are you becoming more and more preoccupied with thinking about food, and adopting a regimented fastidious way of preparing it? Do you fear eating out in restaurants or away from home? Are you only spending time with people who have a similar attitude towards eating? Do you have disproportionate feelings of self esteem connected to “healthy” eating? Do you get ‘high’ when you think about your ‘clean eating.’? Do you react with anger if anyone expresses concern about your eating behaviour? Do you feel shame if you ‘fall off the wagon’? Do you avoid eating food bought or prepared by others? Are you noticing you are spending more time than usual in the gym? I have focussed my blog on younger people but clearly this is something which can affect others, especially, according to research, women in their 30s. Counselling and psychotherapy – Find a therapist who is experienced in working with eating disorders. Cognitive behavioural therapy can be helpful in changing obsessive behavioural patterns. However, longer term psychotherapy may also be a possible route to explore deep rooted issues that the sufferer may be avoiding facing. Mindfulness based cognitive behavioural therapy – A fusion of ancient wisdom and western psychology , MBCT is clinically proven to reduce stress and anxiety, and can help individuals gain a greater non judgemental awareness of obsessive negative thought patterns and defeating self beliefs. Through practising certain breathing techniques, exercises and meditations, combined with CBT, the person can learn to detach from unhelpful coping mechanisms and start to develop a healthier relationship to him/herself and with food. Neurofeedback – a therapy that strengthens neural pathways with specifically tailored exercises. If you think you may be suffering from orthorexia and would like to talk to me in a safe, confidential and supportive environment, please get in touch. 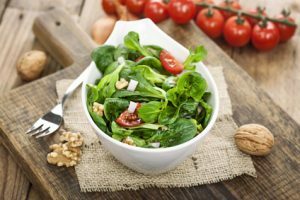 Another very clear and helpful blog which helps to raise awareness about the correlation between food and mood, and again, something I can relate to. Thank you. Thanks for this blog – really interesting and clearly written. I also wonder if there’s a role for social action to address some of the unrealistic goals / pressures that are foisted on young people?